Goodreads: A life hanging in the balance…a family torn apart. Kritters Thoughts: I have read a few Jodi Picoult books, some that I loved and some that still keep me on a fence. I started on the fence this one, but I slowly but surely moved to liking this one. She used her signature move attacking a serious subject with a court case from each character's perspective. The issue involved in this book is when is a life over medically/spiritually and who has the authority to make that call. From the beginning you meet Cara, a young 17 year-old who has been in an accident with her father. Throughout the book you discover family secrets that have been hidden for years and the many reasons why this family was torn apart. Underlying it all is the storyline about the father, Luke Warren who was a famous conservationist focusing on the wolf community. The reader learns about how wolves form their packs and what keeps their family units working so well, and even what humans could learn from them. I enjoyed the many layers to the book and it didn't feel like the rest of her books which made it feel like a fresh and new Jodi Picoult book. I would recommend this book to die-hard fans and newcomers to the Picoult repertoire. Disclosure of Material Connection: I received one copy of this book free of charge from 30 Day Books. I was not required to write a positive review in exchange for receipt of the book; rather, the opinions expressed in this review are my own. 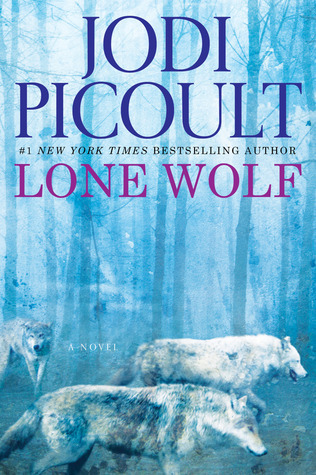 I haven't been terribly thrilled with Picoult's newer books so I wasn't necessarily excited aobut Lone Wolf. But now you have got me thinking, especially when you mentioned that it feels fresh. I'm definitely going to have to check it out!